Rapidly changing environmental regulations have caused industry to struggle when evaluating the choice between chemical or natural refrigerants in process cooling applications. In the United States the Clean Air Act first phased out CFC and later HCFC chemical refrigerants citing their ozone depletion potential. In response to these mandates and increasing corporate environmental initiatives food processing facilities have seen a surge in use of natural based and newer HFC chemical refrigerants which contain no ozone depletion potential. What is the process application? Requirements for a meat processing facility with high cold storage requirements may yield different results than a bakery with a glycol refrigerant system. What is my refrigerant inventory? Does it make sense to determine how many lbs of refrigerant will need to be managed and total cost per lb of ownership? Is there a safety and health concern? Some organizations are comfortable utilizing ammonia with its increased health and flammability potential when compared to most common chemical based refrigerants while others are not. Do we have environmental liability? It is uncertain at this time what if any environmental liability will be assessed on HFC losses into the atmosphere. Ammonia has reporting requirements for systems exceeding 100 lbs. How does this affect my capital budget? Initial capital cost of equipment associated with use of natural based refrigerants is typically greater than chemical based refrigerants. What are my operating and maintenance costs? Who will maintain the refrigeration systems and what technical skills / costs are required? Additionally technological advancements to make natural refrigerants more efficient and also ease ammonia safety concerns include introduction of cascade systems which use carbon dioxide as a secondary refrigerant and HFC or ammonia as the primary lowering total inventory requirements. Commonplace in regions with strict GWP regulations such as Europe, equipment manufacturers are now bringing these products to the North American market. 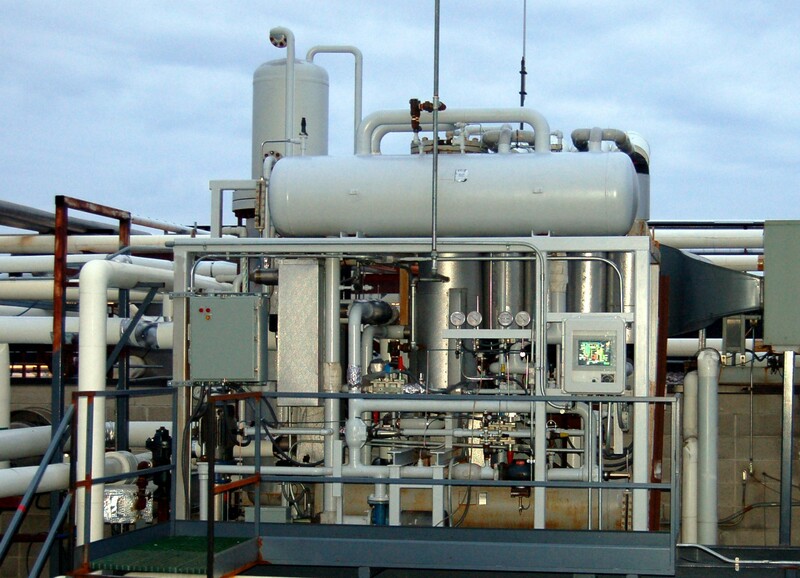 One major manufacturer is introducing an ammonia packaged chiller suitable for bakery glycol refrigeration systems which also may be located outdoors bypassing the need for a tradition equipment room. We will provide more detailed insight on the various topics outline in future articles. In the meantime if you have a more immediate question please feel free to contact us.